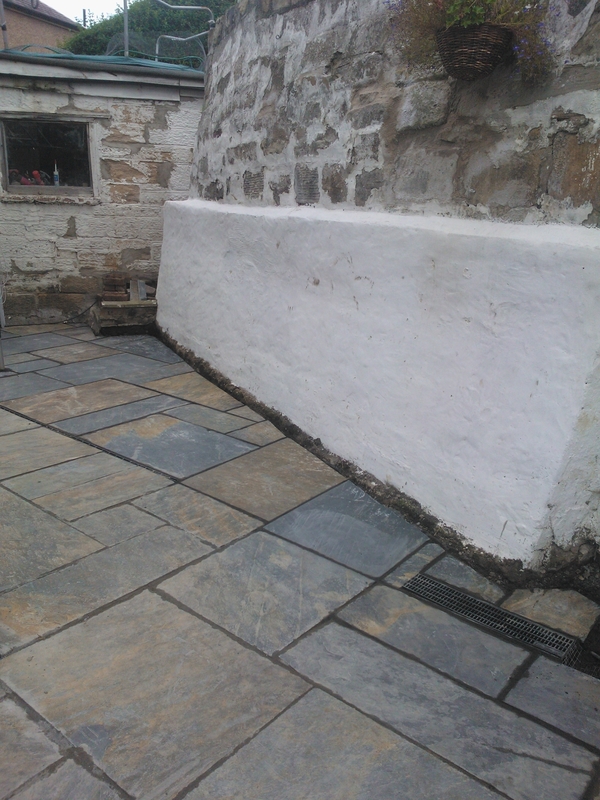 Here’s some slate paving we layer for a customer in Leith, Edinburgh. 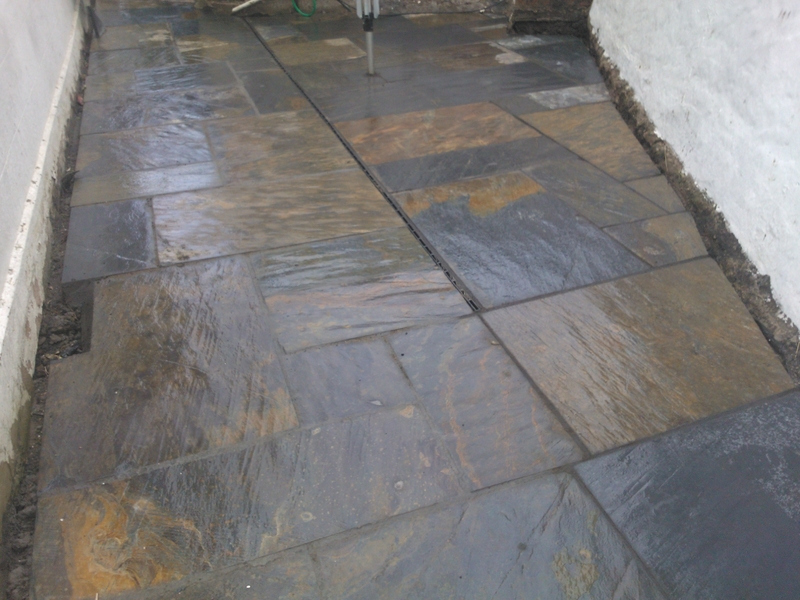 Note the slimline profile drain channel to centre. 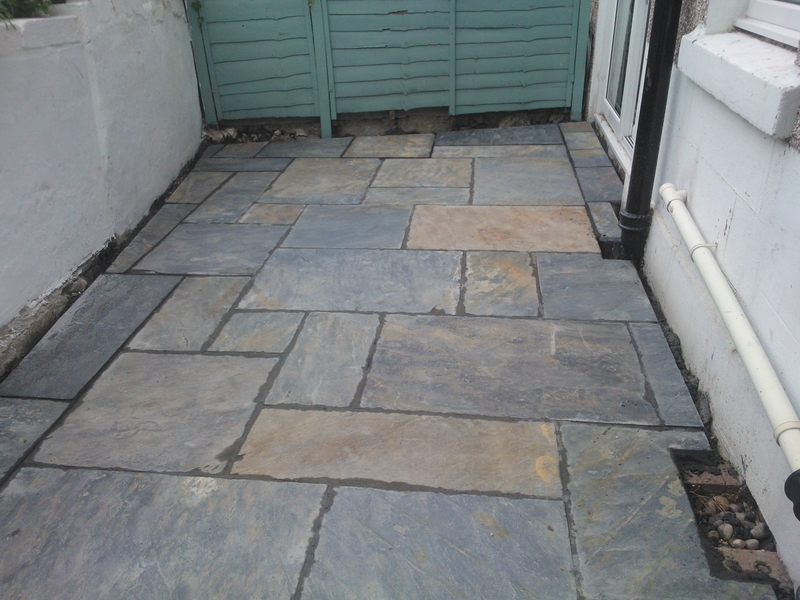 This imported slate paving is multicoloured and gives a contemporary feel to this Patio. 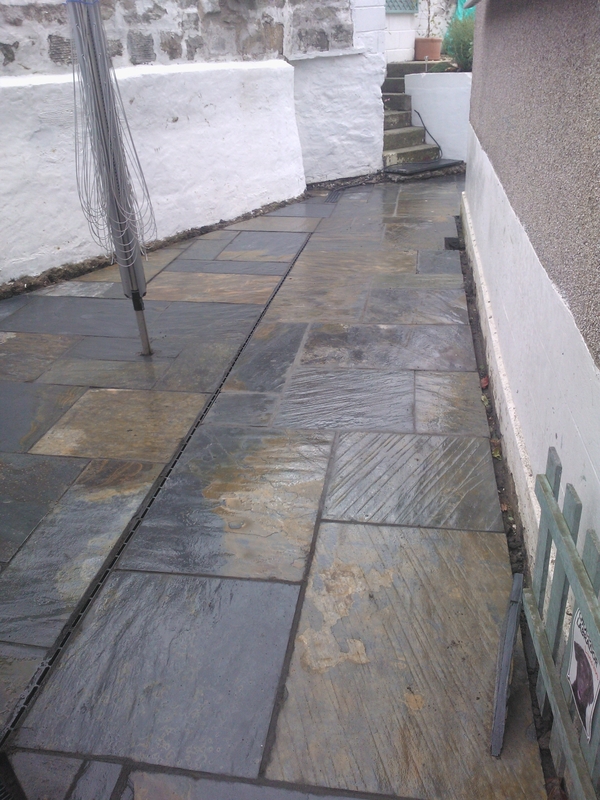 This entry was posted in Landscaping Edinburgh, Paving Edinburgh and tagged Landscape Gardener Edinburgh, Landscape Gardeners Edinburgh, Patios Edinburgh, Paving Edinburgh, PavingEdinburgh by Garden Co. Bookmark the permalink.